The Greater New Haven Cat Project, Inc. (GNHCP) is a 501(c)(3) nonprofit volunteer staffed organization dedicated to improving the lives of stray, abandoned, and feral cats in the Greater New Haven area of Connecticut. GNHCP receives $20 for every new customer who places an order via Chewy.com. Click the image to participate! For every green jug of Fresh & Light sold, @CatsPride donates a pound of litter to shelters across America. And thanks to your nominations, that includes us! If you haven't nominated us yet, please do so through the #LitterForGood program. Panera Bread on 132 Universal Drive N. in North Haven CT has generously agreed to help with the efforts of The Greater New Haven Cat Project, Inc. on April 25, 2019. Upon presentation of a flyer between the hours of 4pm-8pm, 20% of your purchase will be donated to fund the spay/neuter programs for feral and tame cats. 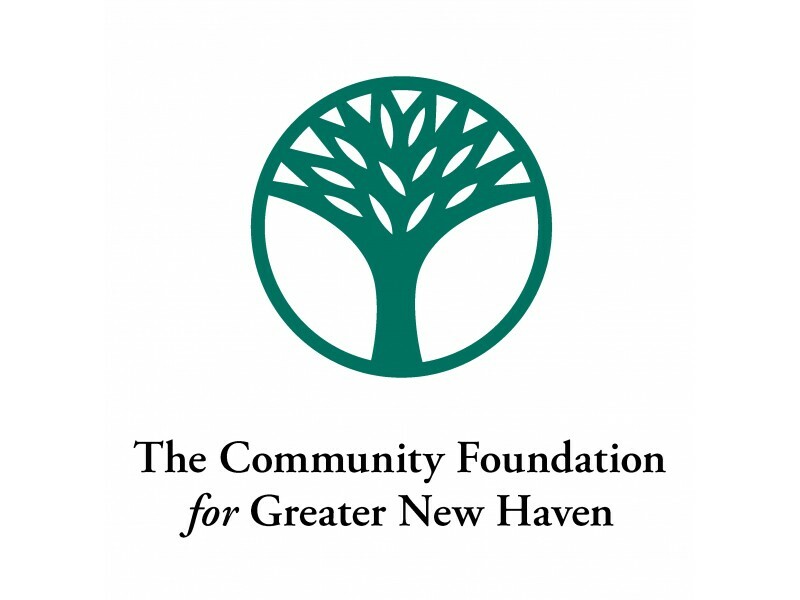 The Great Give is a 36 hour giving event that is eligible for matching funding from the Community Foundation of Greater New Haven. Take home some treasures and join us at our annual tag sale! The address is 2 Belfast St in Milford, and the tag sale takes place on Saturday, May 19th from 9AM - 3PM. Spring is here! Meet Flora, Fauna, Blossom, Sprout, and Springer. They are 8 weeks old (as of mid-April), full of energy, and are ready to play! Meet Candy! She is a new foster and is just 7 months old. Our cutie here is learning how to play with her toys, and is very curious. We also learned that Candy can be picked up. What a perfect kitty! We are so excited to learn more about our beautiful friend, as she blossoms in foster care. Sherry is an adolescent mom cat rescued in new haven. She was taken in while pregnant, then put back outside after her kittens were weaned. She is very sweet, and is looking for reassurance and love. Meet Zeb! This cutie is about 3 years old. He is very docile, and enjoys attention from people. Zeb enjoys cat treats, and playing with his toys. He is a curious little guy, and has a great personality. Once you start petting Zeb, he turns into a purring machine. Manny is neutered male cat, approximately 2-3 years old. He’s inquisitive and very smart, but is still somewhat unsure about new people. He’d probably do best in a home with either no or older children, and gets along with dogs and cats. Say hello to Trace! This cutie here is about 2 years old. He was living with other cats in a chaotic situation, and is a bit unsure of himself. We have learned that Trace likes to be pet, and is learning to trust people again. Lacy is a young adult female cat who was rescued from Meriden. She starts off shy, but is very curious and is still getting used to the Center. She enjoys the companionship of other cats, and would do best in a house without a lot of activity. Marty was rescued in New Haven. He is a young adult male cat, who is friendly, but a bit nervous around other cats. This is Tabitha! She is about 6 to 8 years old. This little cutie had a cyst on her back when rescued. GNHCP raised the necessary funds to have it removed, and now she is ready to find her forever home!! Francois is a 3-4 yr old Male rescued in New Haven. He's docile, likes to be petted, and has been with other cats. He's learning to trust people again and would love to go home with someone who is kind and patient enough to bring him out of his shell. Jewel was rescued from New Haven. She is a young adult, very sweet and a little bit shy. She loves to have her belly rubbed once she has earned your trust. Jewel would do well in a house without a lot of activity, and would benefit from another feline companion. Elise is a mother of 6, and a wonderful sweet cat. Sassy lives up to her name! She is a typical calico with a sassy personality, but she can also be entertaining and very loveable. Sassy was abandoned in New Haven, and was living amongst a feral cat colony, and is about 2 years old. She would do best in a house without children. Amos was rescued with his sister Andi, along with his mother Derby and other sister Dilly. Amos and Andi are a bonded pair, and are very playful and quirky. They like to be petted and to play with each other. They would love to go home together to a home that is looking for two wonderful cats. Andi was rescued with her brother Amos, along with her mother Derby and other sister Dilly. Amos and Andi are a bonded pair, and are very playful and quirky. They like to be petted and to play with each other. They would love to go home together to a home that is looking for two wonderful cats. Hi! My name is Fe. I was abandoned in an apartment complex in New Haven. I am 10 months old (February 2017). I will do well in a house that doesn't have a lot of activity. I like to be petted and am very playful! I am also very loving and ready to find my forever home. I am around 9 months old. I was rescued from the same warehouse as my friend Smitten in New Haven. I love the company of other cats and I am very social and outgoing. My brother Orlando, sister Dawn and I were all rescued from a shed in West Haven. I’m full of energy. I live to play and especially love toys! If you're looking for a new feline friend to brighten up your life, we have many cats in foster care who would love to share your home. The cats and kittens featured on this page are currently residing in foster homes or at the GNHCP Center and can be visited by appointment, once the adoption screening form has been received and you have been interviewed. The mission of GNHCP is to seek to end the suffering of feral, stray and abandoned cats through the practice of trap/neuter/return (t/n/r) but also to educate our community ethically about the importance of animal welfare. The cause of the feral cat population is mostly due to irresponsible pet owners whose unsterilized cats and kittens were permitted to roam or who were abandoned and left to fend for themselves. 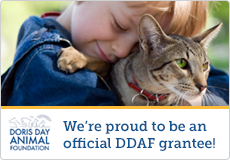 Trap/neuter/return is recognized as the most effective and humane solution to reducing feral cat populations. GNHCP engages in trap/neuter/return of outdoor cats, which is the humane and ethical approach to managing the outdoor cat population. Caregivers are also instructed in the proper way to feed and shelter community cats, including respect for surrounding property owners. Once a colony of feral cats has been vaccinated (Rabies and Distemper) and sterilized, the colony is "managed," and no new cats enter the colony, and no new kittens are born. Spaying/Neutering improves the health (and lives) of outdoor cats and reduces nuisance behavior of males (fighting/spraying) and vulnerability of females who can no longer reproduce. GNHCP assembles shelters for outdoor cats and distributes them if caregivers do not have the means to provide shelter for their feral cats. We also provide resources and guides on how to make shelters, how to make feeding stations, and instructions on how to feed and care for outdoor cats. GNHCP has been chosen as the best Animal Rescue Service in the 2018 Best of New Haven Awards! Check out our CATmatters newsletter for stories and updates about our activities. Click the button above to use our secure process to make an online contribution. You can add a note or designate your donation for a specific purpose in the "Donation Designation" field. You can also buy items and supplies directly from our Amazon Wishlist. Purchases made from the Amazon Wishlist are sent directly to GNHCP. Use Giving Assistant to save money and support The Greater New Haven Cat Project Inc. The GNHCP is supported by a number of companies and foundations dedicated to improving the lives of animals. Please visit our Partners page to learn more about how we are supported by these organizations and how you can also support our partners.